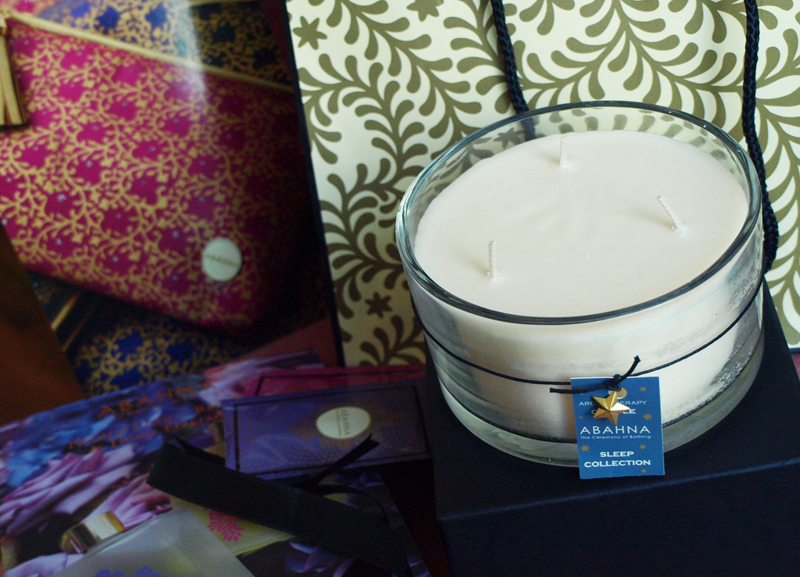 "A scented candle creates the perfect relaxing ambience for your daily bathing ceremony, perfect for a long evening soak. Rich, sensual oils release their captivating perfume as the candle burns for up to 45 hours delivering an aromatherapy experience for the senses. 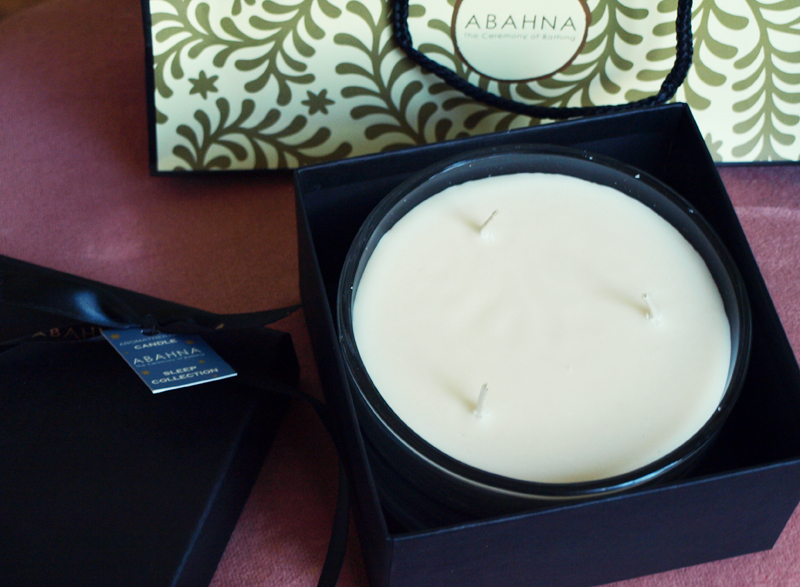 Our three wick 385g size natural wax scented candle is presented in a black box and finished with Abahna ribbon." Abahna is a brand totally new to me, so I was very excited to find out more about their products. 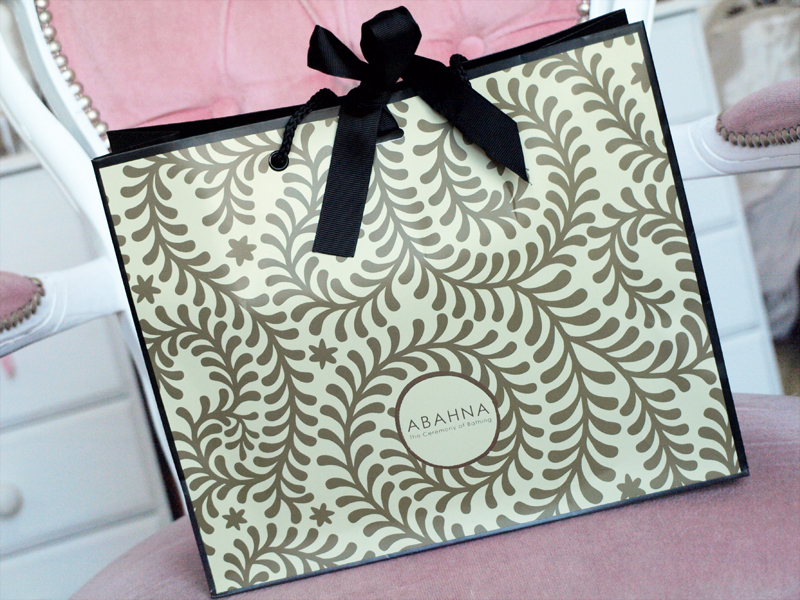 Abahna is a British luxury brand. Founded and run by Ed and Claire Croft, Abahna is a family run business and together the couple are passionate about sourcing natural ingredients and creating products that enhance your mood. 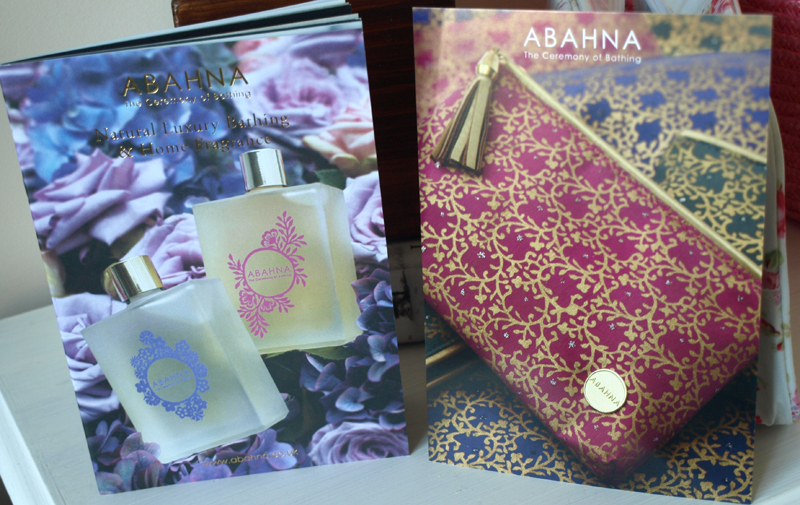 From nourishing bath oils to subtle home fragrances, with elegant packaging and thoughtful touches, Abahna brings a little much needed, luxurious pampering into our busy lives. Abahna strives to be a natural, simple and effective brand, respecting skin as well as nature and the wider world. Product ingredients are taken from plants, flowers, herbs and fruits. I love the philosophy and ethics behind this brand. Natural and luxurious products are something very close to my heart and Abahna never uses artificial colourings, mineral oils, paraffin, parabens, SLS and SLES and is also against animal testing. I am loving candles this winter. 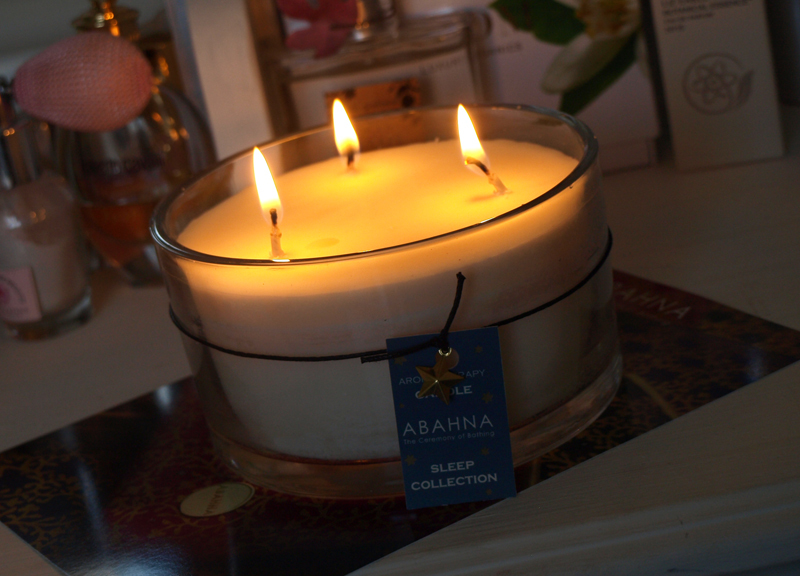 I used to be obsessed with candles and I can see my obsession starting again :) The Abahna Sleep Aromatherapy Candle is a relaxing blend of lavender, neroli and clary sage. It helps with drifting off to sleep after a soothing bath. It smells absolutely beautiful and looks very luxurious. The candle is hand made from 100% pure wax and it burns evenly. 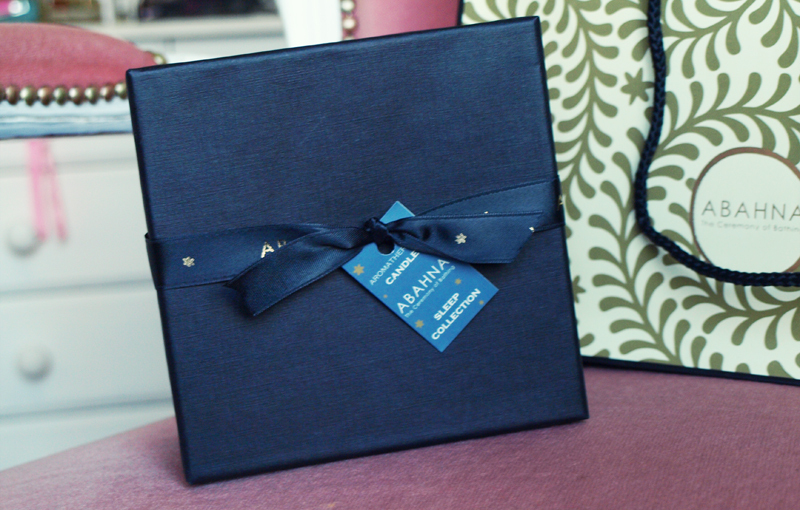 It arrived in a gorgeous gift bag and a presentation box. 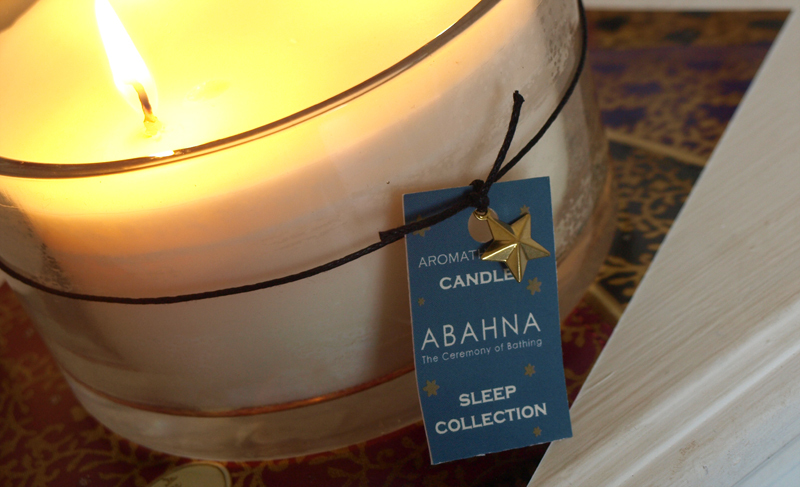 Abahna offers free gift wrapping and you also get some samples with every order. Little touches like this really make the shopping experience special and if you are ordering a product as a gift, you don't need to worry about the presentation :) It will wow anyone! There is so many lovely products to choose from. You can have a look at www.abahna.co.uk to find out more about the full range. The new makeup bags and wash bags starting at £15 are absolutely beautiful and would make an incredible gift. I know, I have been saying that a lot recently, but if you see the designs , you will fall in love instantly!